As a Spanish teacher I am always looking for new ways that my students can practice their oral/aural proficiency. 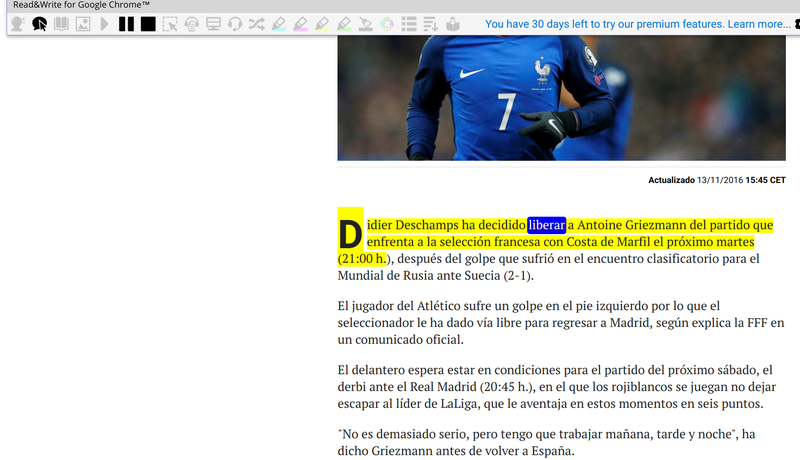 One of my new favorite tools to use with my students is the Read & Write Google Chrome extension. 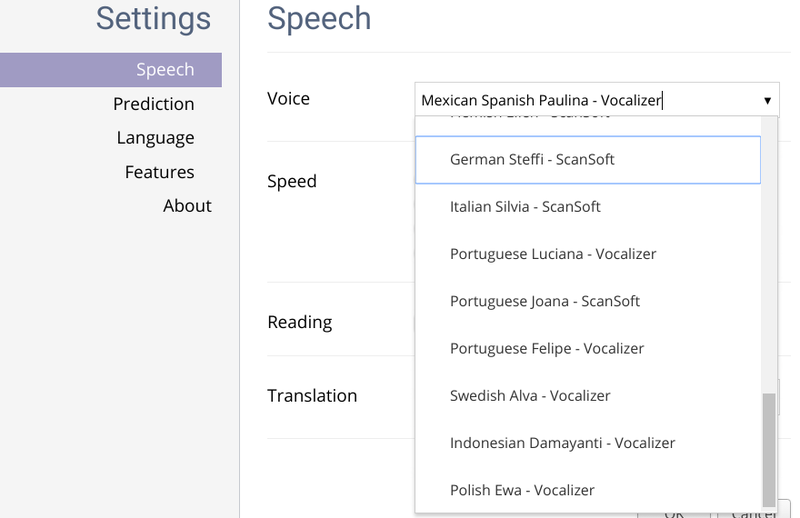 This tool allows for students to have text read to them in Spanish as well as the option for an accent from Spain or Mexico. This has been an incredible way for students to practice their listening as well as learn about the differences in pronunciation between a speaker from Mexico and Spain. Read & Write is an incredible tool to help out students in many languages with their reading and listening skills. Read & Write is simple to use and can be used on any text from the web to have it read aloud to the reader. 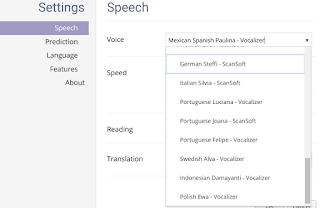 Along with English and Spanish it also can read Brazilian Portuguese, Portuguese, French, Dutch, German, Italian, Indonesian, Swedish and Polish. 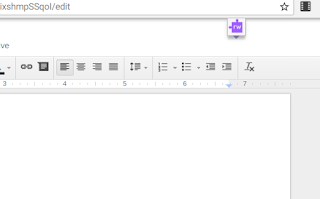 Any article from the internet or Google Doc assignment can work with Read & Write. Here is how Read and Write can look in a news article. 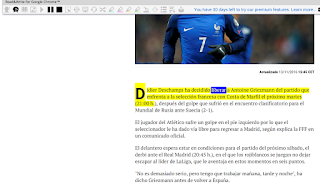 By highlighting text from an article and pressing the "play" button from Read & Write the text will be read with a voice in the chosen language. Using the settings menu you are able to select the voice that you would like the text read in. The students can also select the speed at which the text is read which is a great tool for new language learners. 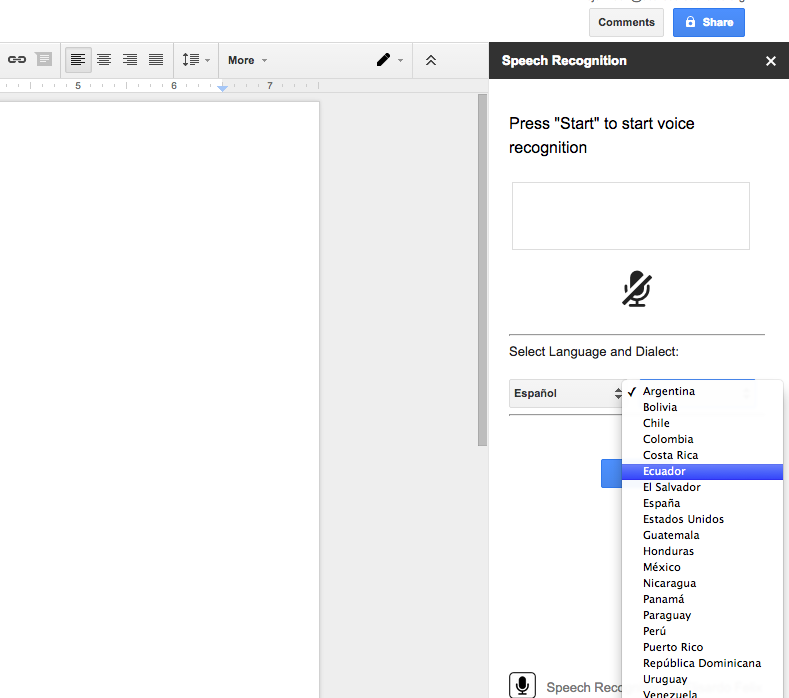 For student assignments I create Google Docs with the questions the students are learning and then instruct them how to use Read & Write to practice their pronunciation while answering the questions. Here is a video of one of my students practicing their assignment with Read & Write. Once installed the extension will reside on the top right of your Chrome browser and will look like a purple puzzle piece. The extension will now work in any webpage by simply clicking the puzzle piece and highlighting text to read. Change the voice from the gear icon. From here click on voice and browse the different languages and accents that the text can be read back in. To use Read & Write in a Google Doc you will click the puzzle piece and then click the additional puzzle piece which will be hanging below the web address bar. Read & Write will ask for an additional permission to run in Docs after it is clicked.